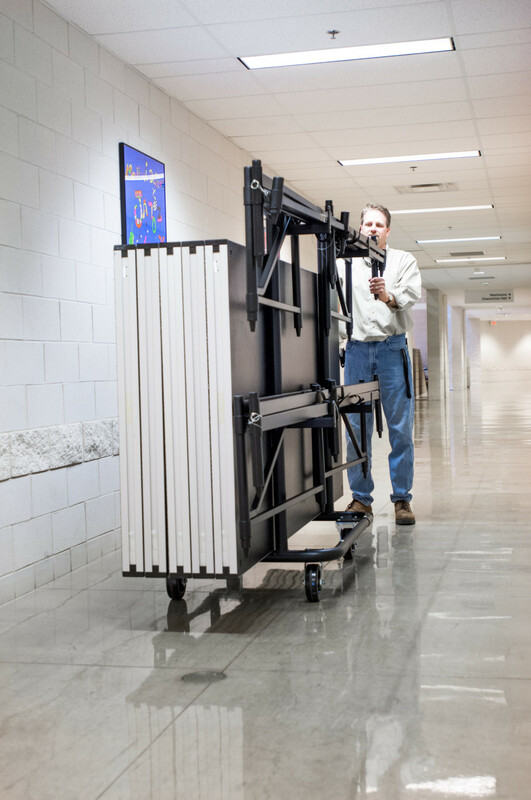 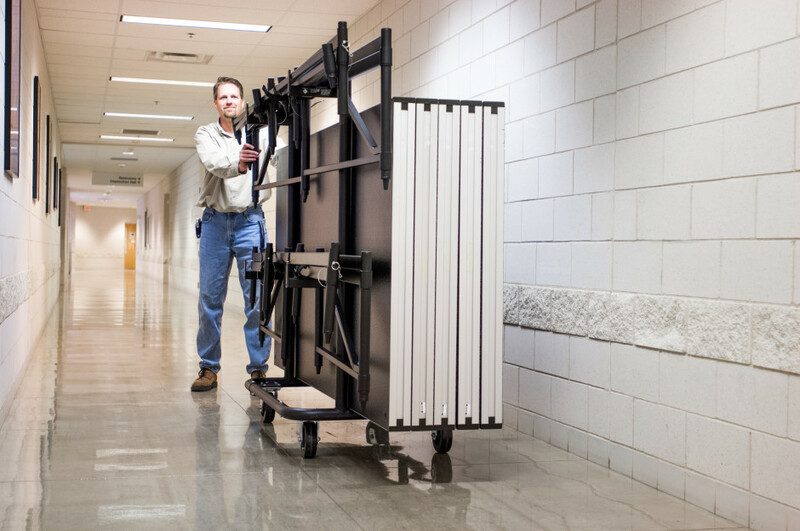 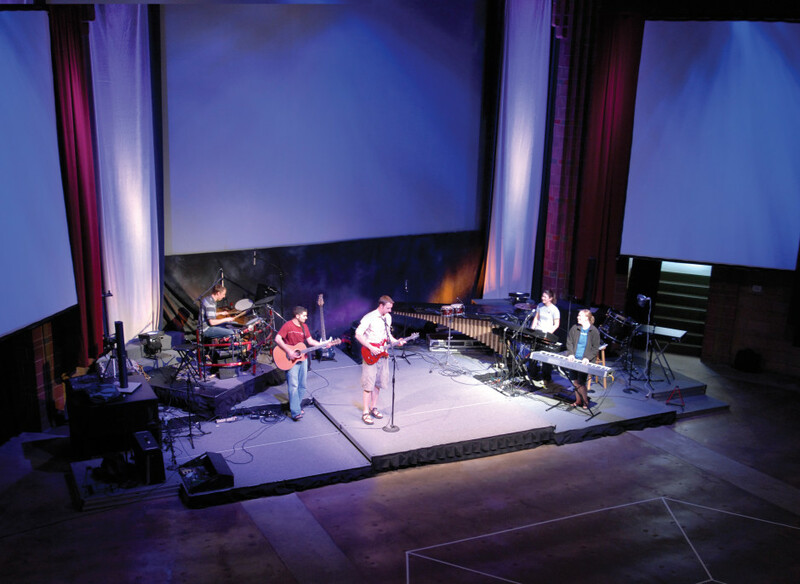 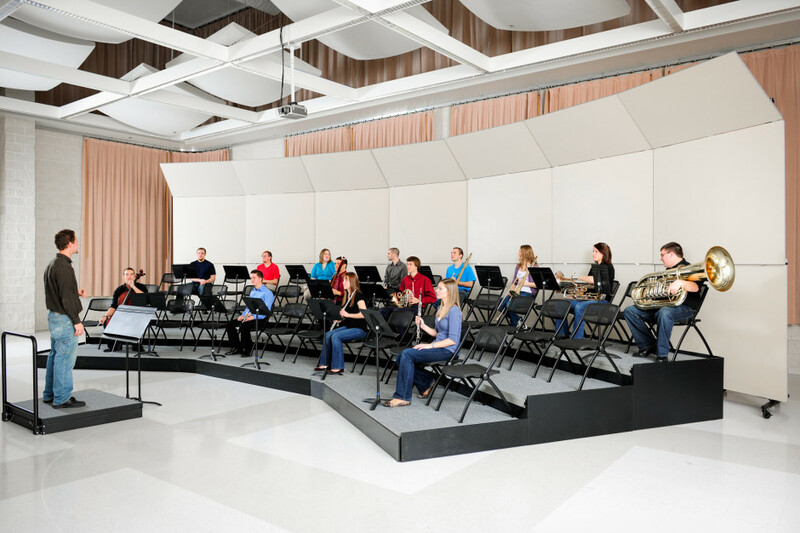 The Z-System portable staging support adapts to every kind of performance from music risers to choir risers. 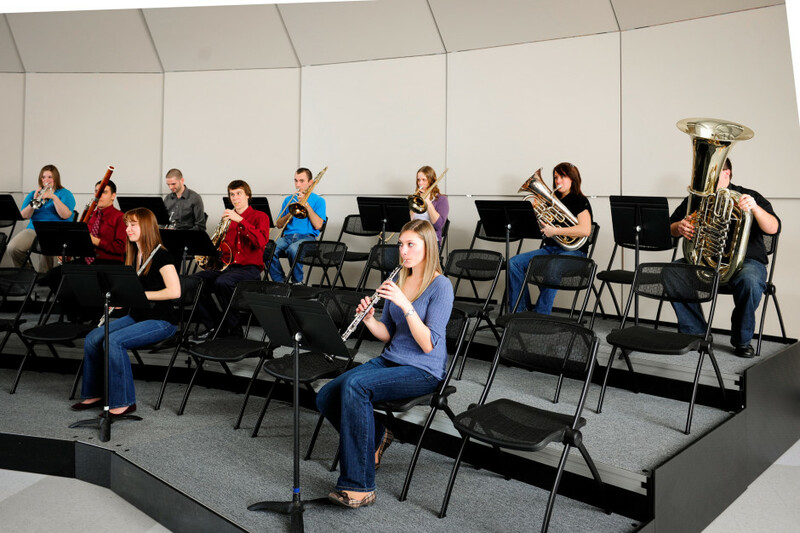 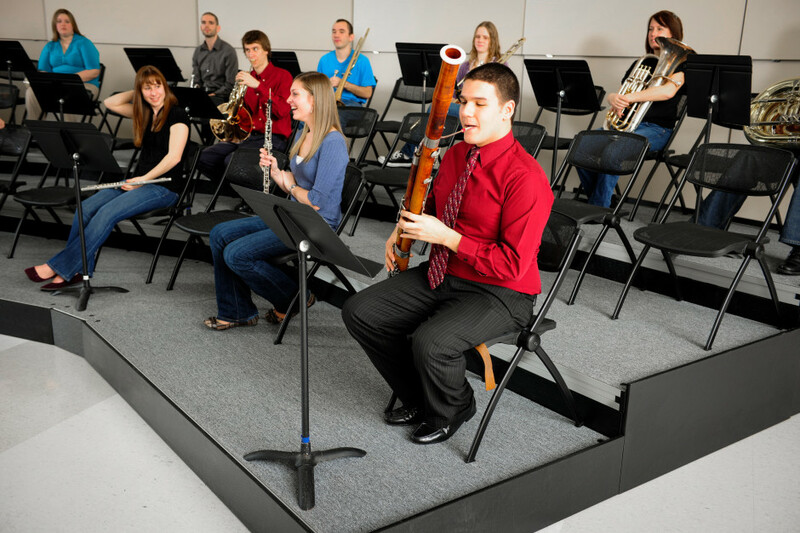 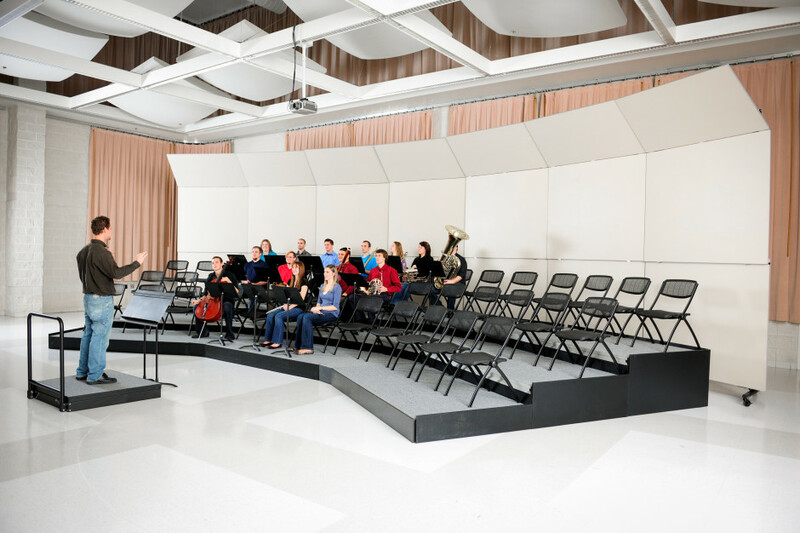 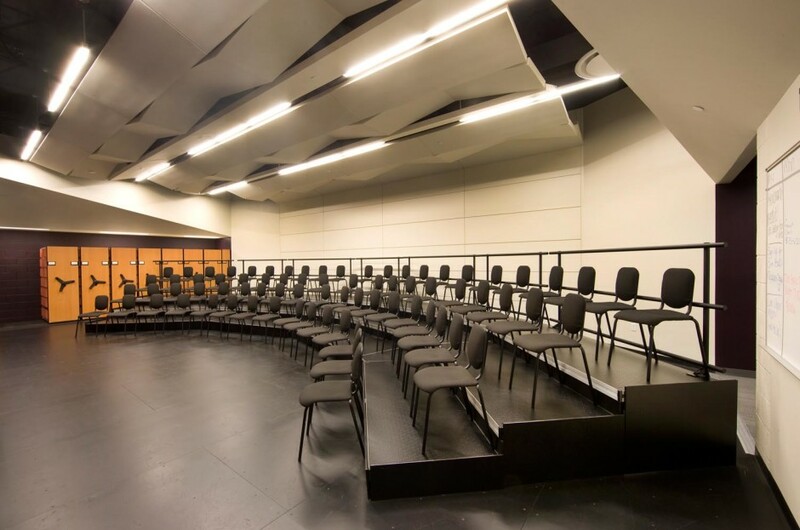 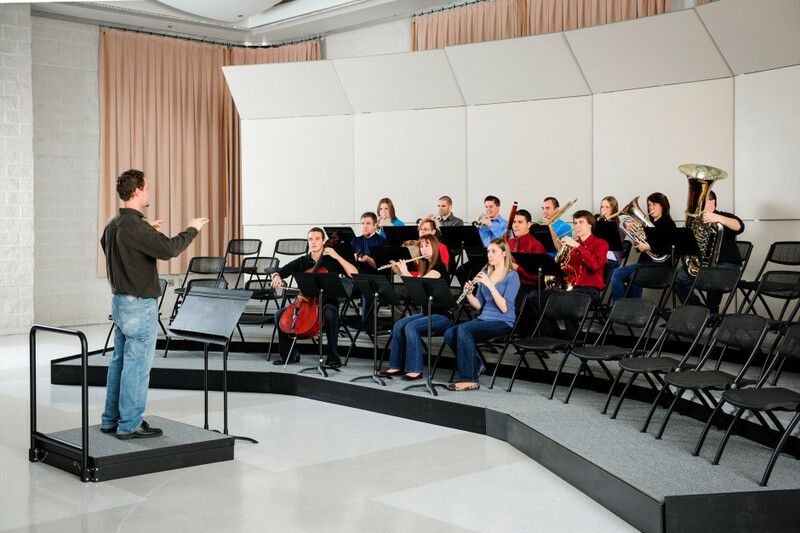 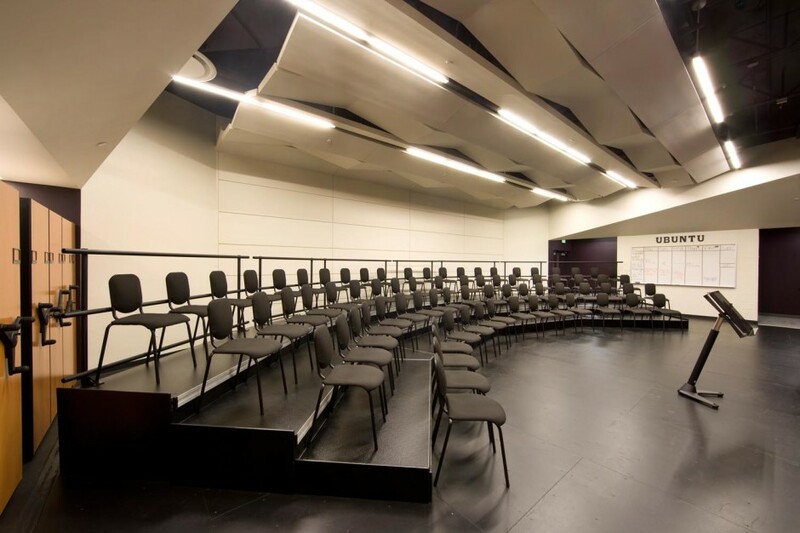 Since your musicians need different seating riser arrangements for each musical genre, you want to ensure the perfect setting for each performance. 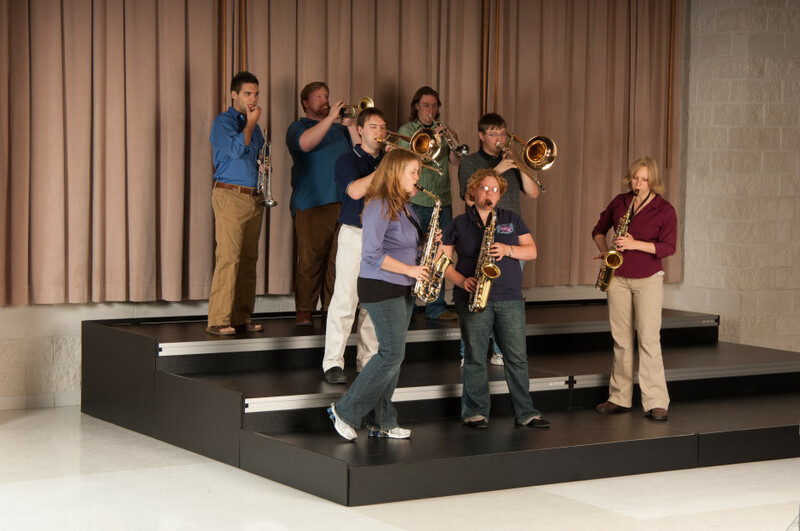 From a brass quintet to an energetic jazz ensemble, you can easily configure your Z-Riser to match the mood and tempo of every concert without changing the sound quality or line of sight. 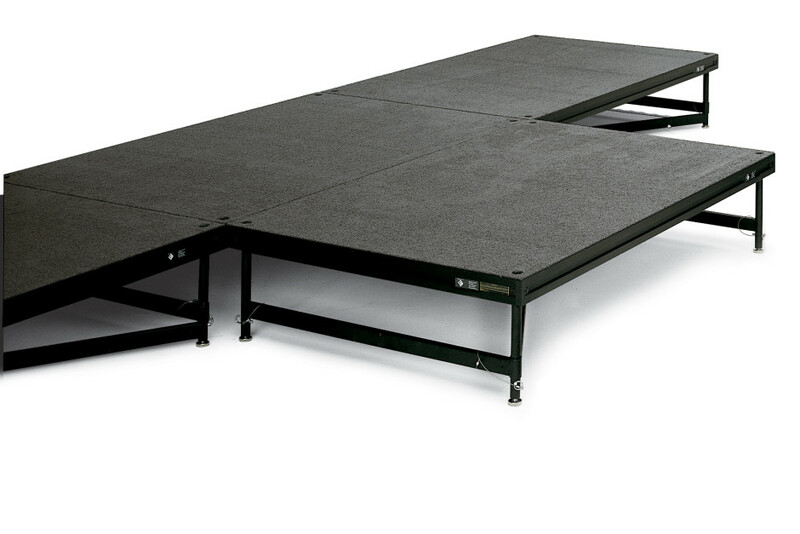 As convenient to use as it is economical, this product offers unmatched stability and versatility for accommodating your diverse performance needs. 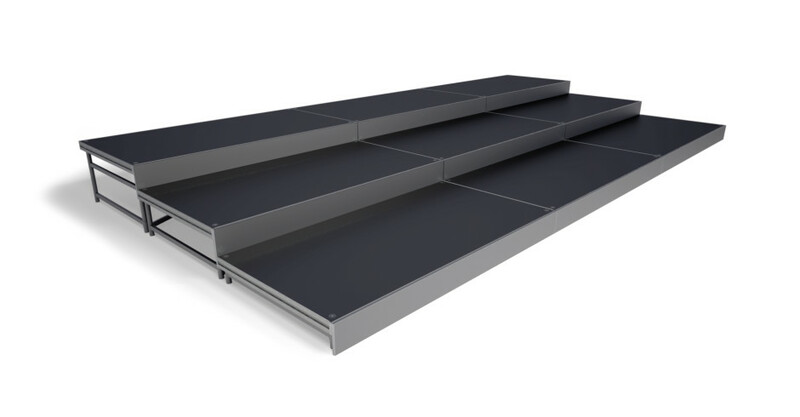 Minimize your initial investment, save on storage space, and eliminate the need for separate music riser systems for different events by simply reconfiguring your StageRight Z-800 supports. 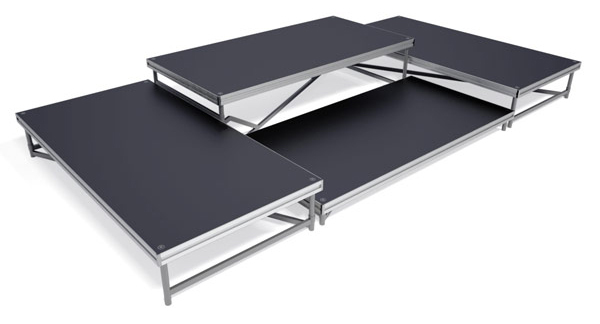 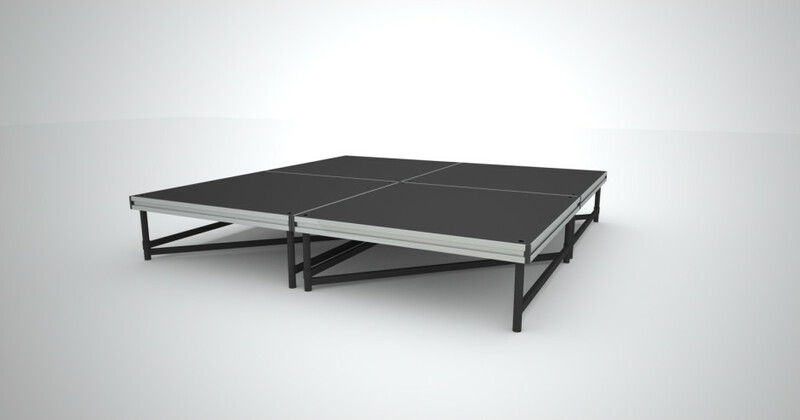 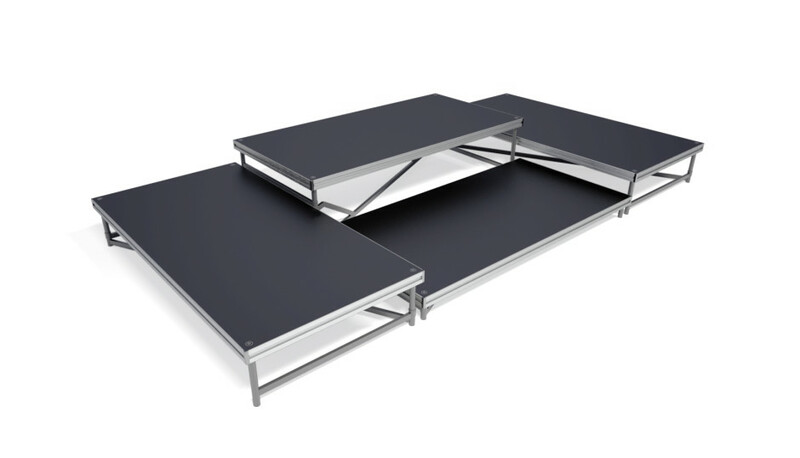 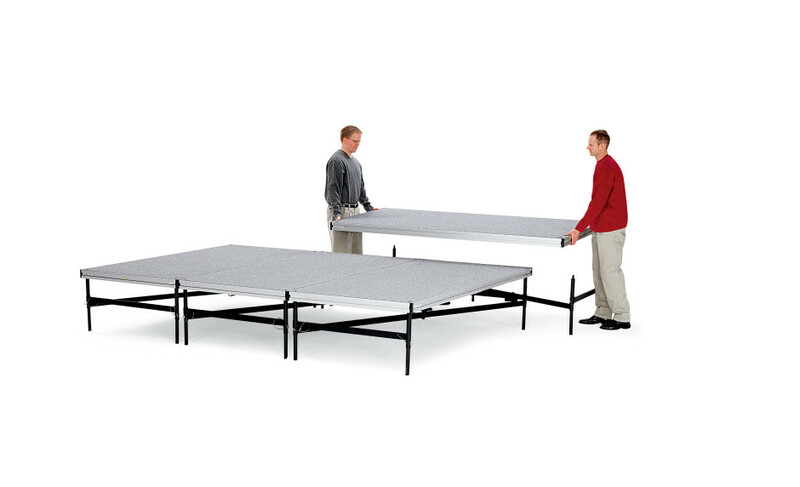 Portable stage system includes dual-sided, reversible portable staging decks and Z-system supports. 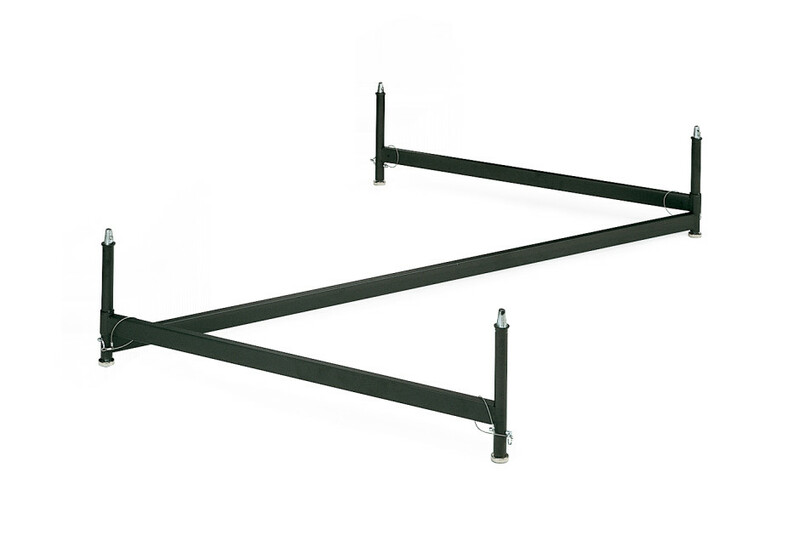 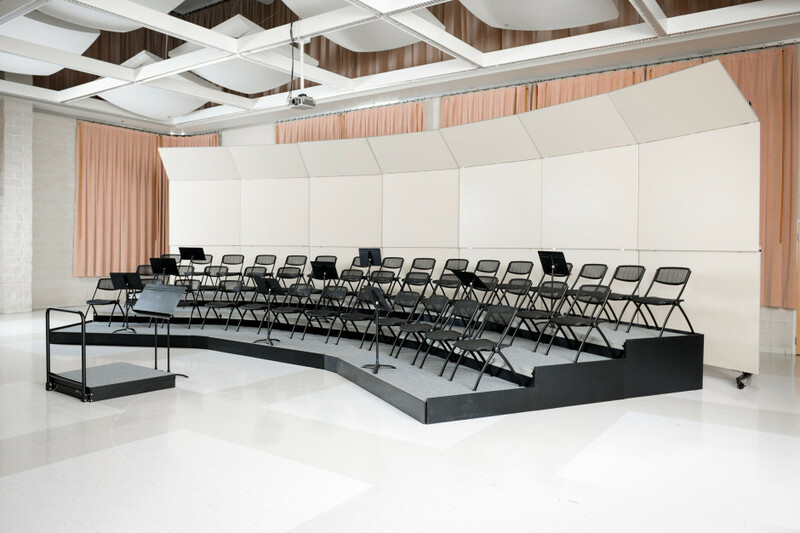 Arrange different stage riser layouts — show-choir risers, jazz band platforms, seated choral risers, or band risers — which can all use the same components. 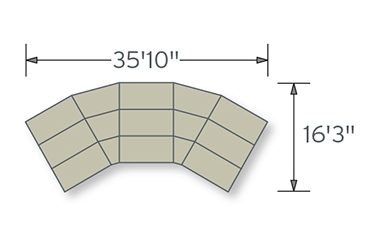 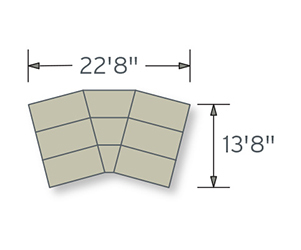 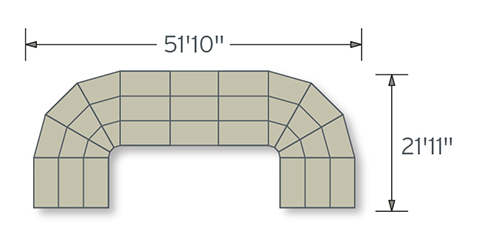 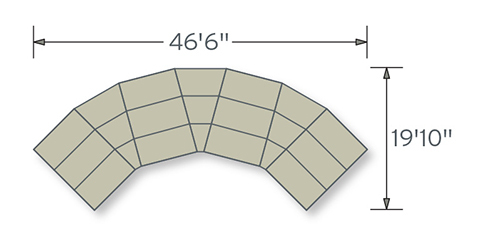 Pie shaped, 30 degree stage decks are available, as well as 3’ or 4’ deck depth to accommodate seated band risers or standing choral risers. 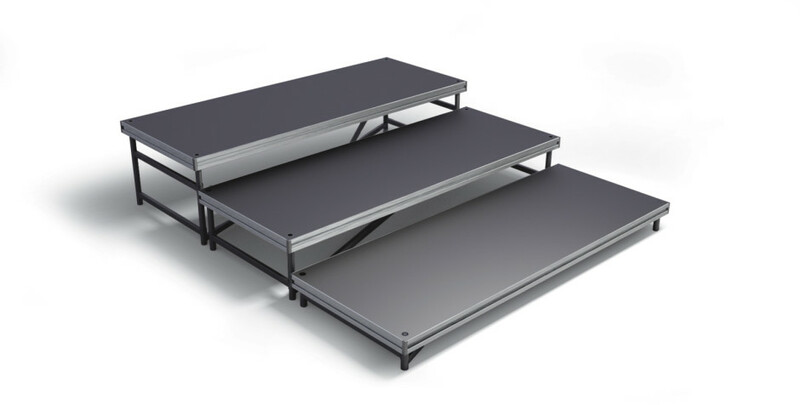 Due to the custom nature of Z-800 Band Risers, please contact a sales representative at 800-438-4499 to discuss your facilities needs and to receive design assistance, specifications and pricing.